Talking about F1: The F1 blog: F1 2013 Season Preview: Lotus - Dark horses? The fundamentals of the current technical regulations have been in place since 2009. The probability of devising big advances within those diminish by the year, for the main reason that they've mostly been discovered already, and everyone else has had a chance since to honour them by imitation. Thus now as we face 2013, the regulations' fifth year of existence, reshuffles in the pecking order are not to be expected. But even within this, ever-cryptic pre-season testing suggests that there may be at least one climber between 2012 and 2013. That team is Lotus. The Lotus team was also 2012's highest climber compared with the previous year, but that owed in part to the fact that 2011 was a conspicuously bad one for the Enstone team, wherein it had gone down a technical blind alley with forward-facing exhausts, and a bad atmosphere seemed to pervade the team. If it has indeed stepped up further this time too it will doubly-impressive. And remember that any forward stride from last year will in all probability land Lotus right in the championship fight. The team may well be the 2013 dark horse, and not because of its livery. Arguably last year's Lotus, the E20, was the best race-day car out there. It was outstanding in extracting performance from the limited-resource Pirelli tyres for longer than its rival cars, possibly due to it being softly sprung. But its best trait also contributed to its worst, in that it struggled to get sufficient temperature into its tyre for a qualifying lap, which often left its drivers with too much to do on race day (even in modern F1, qualifying remains important; only four of the 20 races in 2012 were won from off the front row). 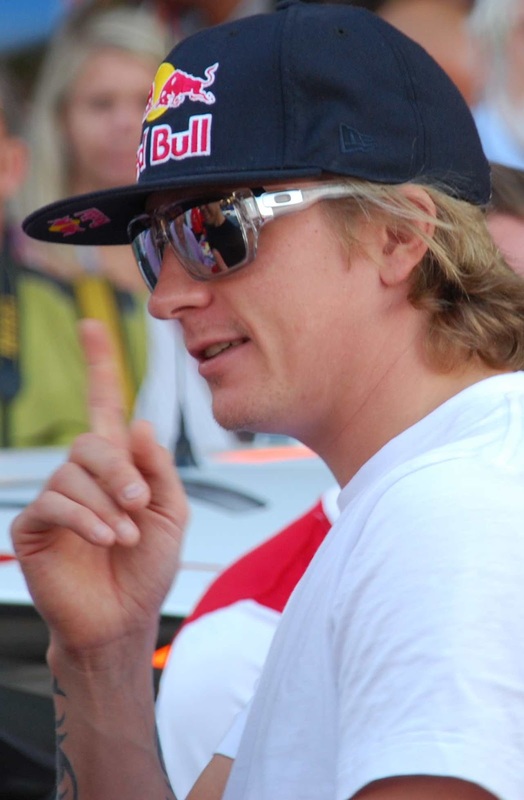 But nevertheless consistent points accumulated by inspired signing Kimi Raikkonen kept it in outside contention for the drivers' championship for most of the year, and it all was topped off by a late-season victory for Kimi, Enstone's first since 2008, in Abu Dhabi (possibly the year's most popular win too). All in, it was Enstone's best campaign since its 2005/2006 title triumphs and by a distance. And the Lotus E21 has impressed many of those watching on in the opening two pre-season tests of this year. Of course, all of the usual disclaimers and caution apply when interpreting testing and its laptimes, but the car has looked responsive and fine-handling out on track, appearing to lack the understeer that many are getting on the latest breed of Pirelli, and with Technical Director James Allison insisting it's had plenty of fuel aboard too. Both its ultimate pace and the consistency of its long runs look good, with one analysis by Mark Gillan having the Lotus as the best of the bunch over race stints, all suggesting that the E21 has retained the beneficial tyre handling of its predecessor. There remains an elephant in the room though. At the business end of last season Lotus appeared to impair its title chances by spending much resource and practice time trying to get its abortive passive rear wing stalling device to work. As it was, it was never race-worthy, and by the time the team had resolved as much its title chances were in effect gone. For 2013 Lotus hasn't completely abandoned the concept, but you feel it'll need to be rather strict with itself in how much it puts into making it work if history is not to repeat itself. The most impressive aspect of Team Enstone (which is perhaps the best moniker for it) is that despite its various changes in ownership, senior staff and drivers, it retains its same fundamental character: a downbeat, no-nonsense and yet intensely competitive collective. And one that, lest we forget, knows how to win championships. And it doesn't sound at all fanciful to say that it could be adding to its collection in 2013. Even if it doesn't, you feel that anyone that finishes ahead of it will not be far away from title honours itself. You know what they say about risk and reward? Well, 12 months ago Lotus took what many considered as a major risk by bringing back an ex-world champion, who'd left the sport with barely a backwards glance two years previously in order to go rallying, whose talent was not in question but his motivation and lifestyle away from the circuit was. And, what do you know, the team was rewarded in spades. In many ways Enstone is the perfect environment for Kimi Raikkonen. It is tolerant of his quirks and habits, and requires little from him beyond driving cars very quickly; a world away from the intensity of McLaren and Ferrari. And as a result you could argue that in 2012 Lotus got more out of Kimi than either of those teams ever managed. While the outer edge of pace of his McLaren days probably isn't there anymore (though he remains quicker than most), what he did delivery last year was metronomic consistency, finishing every race, all but one in the points. This, including an overdue win towards the year's end in Abu Dhabi, totalled up to third place in the drivers' table and status as an outsider in the title battle for much of the campaign. There was the odd bum note for Kimi in 2013 though, born of understandable rustiness. He found the Lotus's steering not to his taste initially, which as it was sorted coincided with team mate Romain Grosjean getting the upper hand on him around the season's second quarter. And Kimi did show a certain amount of timidity in traffic in the year's first half which cost better results possibly. But such problems seemed sorted largely by the year's end - indeed he finished 2012 as the man responsible for many of the year's most spectacular overtakes - and shouldn't repeat themselves in 2013. Kimi looks absolutely focussed for a championship charge. And it's not just Lotus that is rewarded by Kimi's return, the sport benefits too. Kimi, with his resolutely apolitical outlook and mysterious, devil-may-care persona, somehow embodies much of what feel a racing driver should be. Few in the sport can claim to be as popular. Another year with him where he belongs, at F1's sharp end, can only be a good thing. So, Romain Grosjean gets F1 chance number three. You could argue that this is at least two more chances than are afforded to most drivers in a sport not known for its patience, and this year he simply must get it right. Some counted as many as nine early-race contacts involving Grosjean from 20 races in 2012, in addition to other errors, and while analysis demonstrates that they were by no means all his fault, it also stretches credulity to say that their regularity was mere coincidence either. And of course the Spa smash that he initiated was considered sufficient to hand him F1's first race ban for anyone since 1994. The big question for Romain to answer this season is whether his tendency for contact with other cars, particularly in the opening corners, is a crease to be ironed out, or is a fundamental flaw. In short, he must demonstrate that it is the former. If he doesn't then it's next to impossible to envisage chance number four forthcoming. And it's all a pity as, somewhere beyond all of this, there is a very good F1 driver in Romain Grosjean. Over the 2012 season he out qualified Kimi Raikkonen by 10 to 9, including at circuits where the drivers can make the difference such as Monaco and Suzuka, and frequently he displayed pace that Kimi couldn't match. Indeed, Grosjean might have won in Canada and Valencia with another card or two falling the other way. 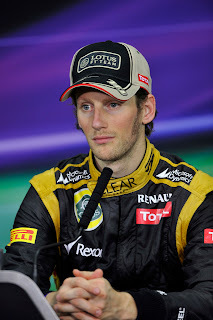 The external criticism he received, particularly that after his first corner coming together with Mark Webber at the Suzuka round, seemed to get to Grosjean though and his driving seemed to lose something late in 2012. In last chance saloon, and after a winter in which to reflect on his ways, one hopes that Grosjean finds a way of keeping his car away from others in 2014. If he doesn't, then an otherwise fine F1 talent will be lost forever.